There are many things to do on campus when you visit, but maybe the most important thing is to both find out how to get here and where you are going to stay. You can find that information in this section. 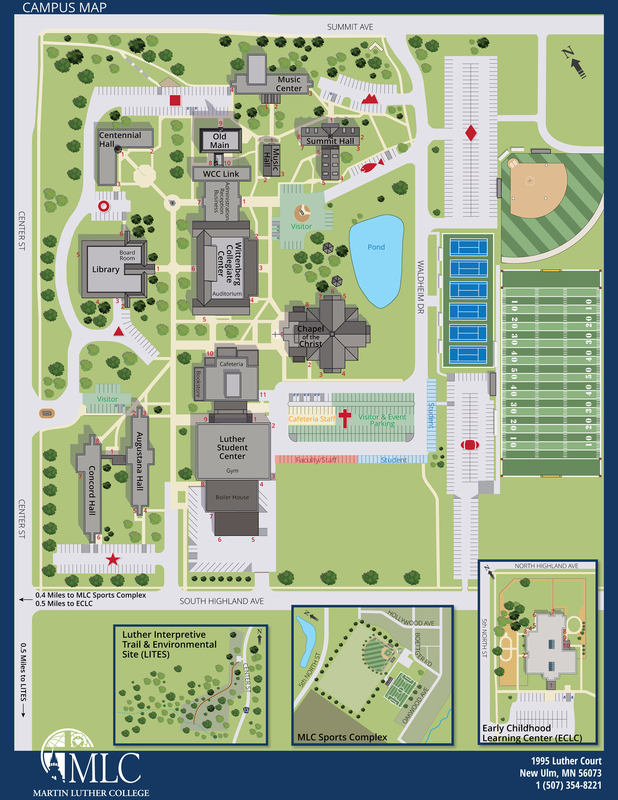 Please visit our Directions page for directions to campus from various locations. You can also take a virtual walking tour of campus! 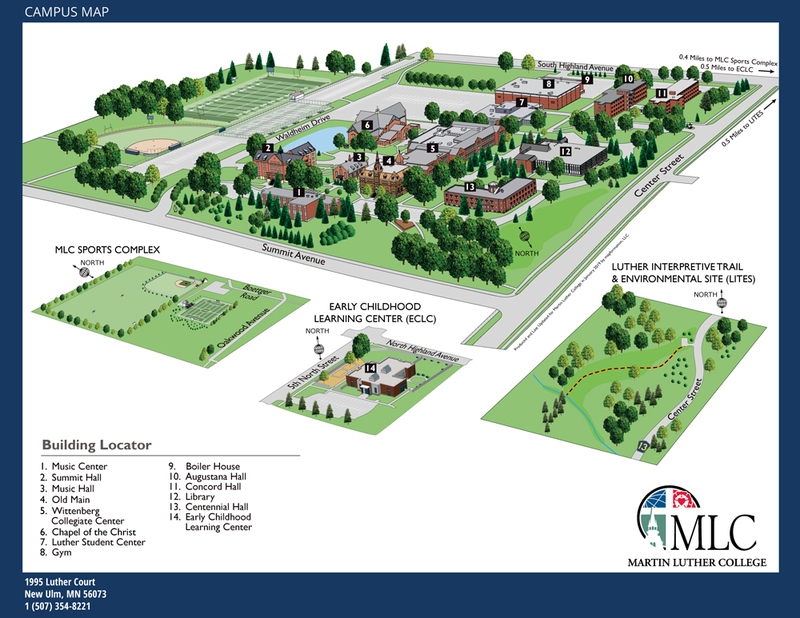 The Campus 3D Map provides a look at the different facilities available at Martin Luther College (also available as a PDF). Currently we only have one extra map for the surrounding New Ulm area. You can click on a map to see a larger version. 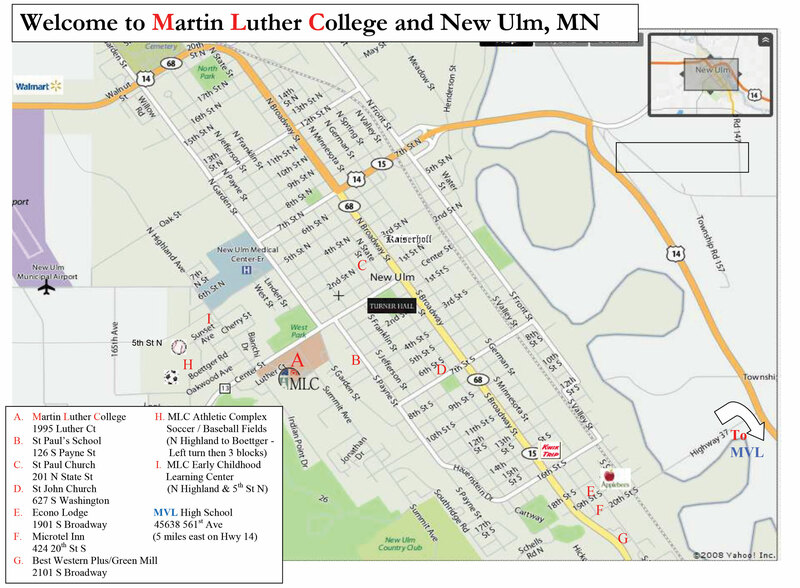 This is a map that shows New Ulm WELS churches and schools, area hotels, etc.